Delivery from £6.63 to United Kingdom in 10 - 20 working days. This is a plate for a sandwich or a cake, its even large enough for a small meal. I often serve my children pancakes from this plate. They love the bright pattern and the size, that is suitable for their needs! It is available with spots or stripes in different colours. They are all lovely together in a mix of styles, but also just one single plate will make a colourful and bright touch to the table. 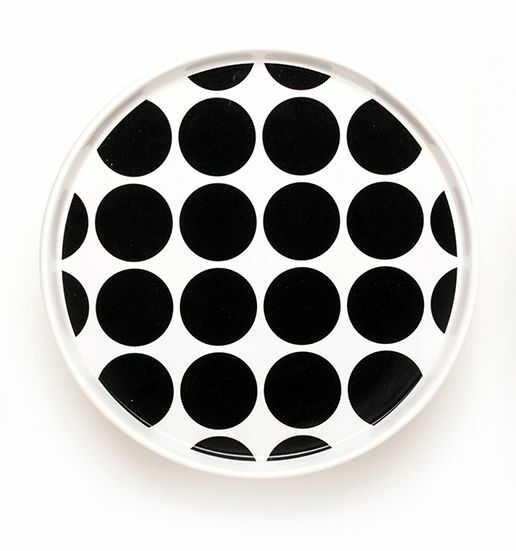 These plates are cast in stoneware clay and are produced in Portugal. See more products in the collection DIDO.